Peter Yoo, S/IDSA, has been selected as the winner of the 2018 Design Foundation Industrial Design Undergraduate Scholarship. When Yoo was fifteen, he discovered design while visiting his father’s office at a university in South Korea. His father’s office was next to that of an industrial design professor who would display clay concept vehicle models in his office. “Something clicked and I decided that I want to be a car designer,” he recalled. From that point on, Yoo became passionate about the life-changing solutions industrial designers create. “There is nothing more exciting than being part of the process to produce and evolve a small idea that eventually grows into a satisfying product and experience. That is why I decided to pursue industrial design,” he said. Yoo came to the US to pursue his design education. At a younger age, Yoo was discouraged from pursuing design. His parents wanted him to be a professor, a lawyer or a diplomat. He said, "If I didn’t come to the US, who knows what I would be doing right now?” Once here, he also became involved with IDSA. “I think it is extremely important for designers, especially for students, to have objective opinions about their designs. Participating in the IDSA Southern District Design Conferences and portfolio reviews gave me an opportunity to learn from professionals influencing the world, to gain constructive feedback on my designs and to make connections that landed me an internship at Frog NY, which would have never happened without participating in IDSA events,” he said. After he graduates from Virginia Tech, Yoo hopes to begin his career by consulting, then move into teaching. 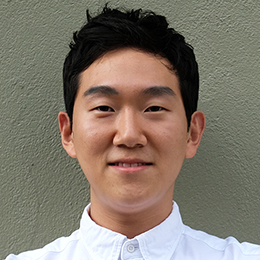 His lifetime goal is to found design-focused schools around the world—starting in Korea—in order to provide design education to people and communities that otherwise might not be exposed to design or other creative professions.